Anvil Group, GroundScope and Uber for Business come together to address one of the biggest duty of care issues in corporate travel. Leaders in the travel risk and ground transportation sectors have come together to raise awareness of one of the biggest issues in travel risk management. Travel and operational risk company, Anvil Group, ground transportation booking provider, GroundScope and transportation network provider, Uber for Business, today announce the publication of a brand new report that focuses specifically on how corporates can better protect their travellers and themselves when it comes to the selection and usage of ground transportation options. 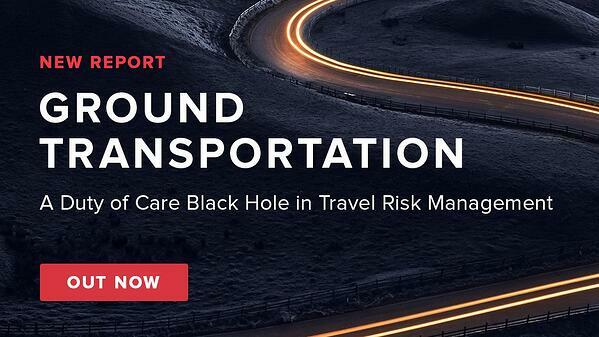 The report [Ground Transportation - A Duty of Care Black Hole in Travel Risk Management] is based on the discussions and outcomes of the inaugural Ground Transportation Risk Summit, an event hosted in London recently by the three organisations. The event looked to identify some of the main issues in ground transportation today, outline what can be done to increase awareness of the potential risks, set out some basic advice for those looking to enhance and mature their duty of care programmes, and consider the broader implications for companies who fail to address this important issue. Bringing together the views of experts from the corporate world, the risk management world and the world of ground transportation itself, the ensuing report addresses why ground transportation is not getting the consideration it deserves in many travel or risk policies and identifies what can be done to change this. With the rapid growth in the number of different ground transportation options, particularly the usage of ride-hailing services, it can be a complicated minefield for travel managers to navigate. Many business travellers, familiar with the use of these apps in their personal lives, are now adopting them in their business lives too, presenting businesses with a challenging set of considerations not yet addressed in many travel policies. Businesses need to consider wide-ranging implications - from safety and security, to liability concerns, to legal and financial considerations. GroundScope’s CEO, John McCallion, echoes Matthew Judge’s sentiment, “Ground transportation is an integral part of every business trip yet it's seriously lacking the focus it needs in many policies. Despite its often low profile, it’s the part of the journey that poses the greatest threat to business travellers and is something that companies need to take serious steps to address”. Every year, almost 1.3 million people lose their lives on the world's roads and many millions more are seriously injured. Add to this the risk of opportunistic crime, car jackings and assaults in many countries and the roads can be a very dangerous place indeed for today’s business traveller.